We face a climate-defined future. After Maring, Habagat, Pepeng and Ondoy, it is apparent that things will get worse, before they get better. Clearly, it is no longer enough to simply react. Too much expensive dislocation takes place – both social and economic. At some point, donor fatigue will set in. Then what? We may not be aware of it, because so many of us grew up with an annual typhoon season. But if we are to look at cities like Singapore, Jakarta or Kuala Lumpur that do not get hit by typhoons every year, the difference is clear. When it comes to Pacific storms, the Philippines sits in ground zero. It is now known that thermal expansion contributes much more to sea level rise, than ice melt. Satellite altimetry has revealed that in the El Nino of 2010, sea levels in the Pacific rose the highest around our country. Heat is also the primary driver of the water cycle. An enhanced water cycle leads to heavier rainfall. El Niño has become more frequent. The evidence is clearer than it ever was. To keep our cities resilient and competitive, despite accelerating climate impacts, it is not enough to simply manage our carbon footprints. 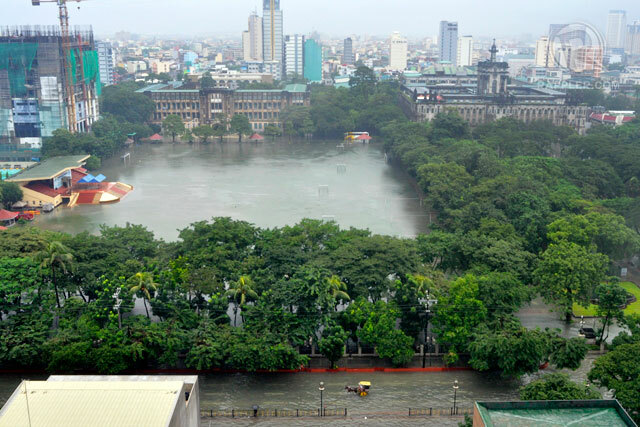 The cities of Metro Manila must be much more pro-active about climate adaptation. Sadly, urban planning is often absent, or poorly implemented, in Metro Manila. When it is done, it is frequently done in silos. Planning is often done by corporations who rarely invest “beyond their fences.” This pattern of development creates geographical pockets of dysfunction that, in extreme weather, become concentrations of risk. This is mal-adaptation. We have to ask ourselves, what is the true cost of poorly-zoned development? Some people like to say that this is just a matter of governance. This may be so. But, governance is not government. To work, it must actively involve both the public and private sectors. The question is not whether to develop, but how. The long-term solutions really depend on all of us. But that is a much bigger challenge, and will involve a much longer discussion. 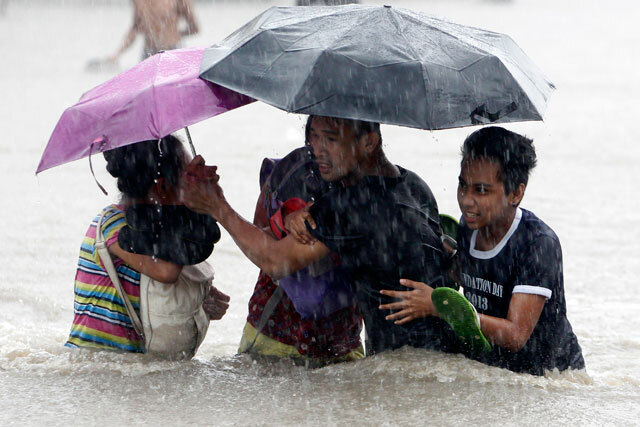 What are some specific lessons that Metro Manila might glean from Maring, and what needs to be done so that we can all handle the next extreme weather event a bit better? EDSA’s all-weather readiness has improved in some spots. But all major intersections along EDSA should be brought up to these flood free standards. 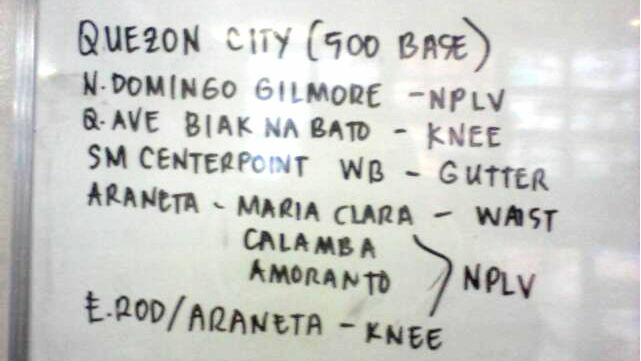 Within each city of the Metro, all-weather arteries should also be identified and marked to allow movement of important services/goods to and from circumferential roads during extreme weather events. The Ninoy Aquino International Airport (NAIA) is not ready for the rain we experienced. Photos in social media show that flooding on the tarmac at Terminal 4 was chest deep. Reports said that more than 160 flights were cancelled. This is not acceptable. It is also one sure shot way to kill a travel hub. A strategic decision needs to be made without any further delay. To remain competitive, Metro Manila needs an all-weather airport. Where it presently sits, NAIA is a weak link in the adaptation chain of the National Capital Region. Project NOAH was, by and large, a big help. Much timely and useful information was publicly available. But the Tagaytay Station suddenly shut down for “maintenance” on Sunday night. That sounds like the P. Tuazon pumping station breaking down when it was most needed. This must be studied and corrected. Project Noah is a leapfrogging opportunity. We should not let this advantage go to waste. After Ondoy, Habagat 2012, Pepeng and Maring, we know that flooding and risk will depend on where rain falls, what quantity falls and when it falls. The timing of high and low tides are crucial for drainage as well. This could make all the difference and that information should be part of preparedness. Considering the size of the metropolis, simply using an aggregated forecast may not provide the level of accuracy needed for an appropriate response. Might we consider upgrading Project NOAH’s capabilities to provide higher resolution information? The Metropolitan Manila Development Authority’s (MMDA) presence in social media was a tremendous improvement from previous extreme weather events. The regular updates on traffic flows and flooded depths in key intersections were very helpful. Many people wondered, however, why these updates were done on an office white board? Or, why flood depths were measured using body parts, e.g. knee depth, waist depth, instead of standard metrics? Since MMDA already maintains livestreamed video of key intersections, and a website for traffic flow, (which were both great) would it not be simpler to place color-keyed icons on their website, at intersections showing how severe flooding is? For those offline, might this be designed to work on MMDA’s mobile phone app? There is room for improved efficiency and delivery here. A coordinated civil response plan needs to be mainstreamed for all cities, and for the Metro as a whole. A well-designed plan should spell out how organizations, corporations and people are expected to prepare for and act during extreme weather events. For example, people who do not have to be moving around, should be asked to stay home and keep off the road. This is standard operating procedure for most civil defense plans throughout the world. To work, civil preparedness must be a public-private endeavor. One good example of simple, workable ideas include the yellow/orange/red codes used to define rainfall intensity. Crucial decision points can and should be defined way in advance. The school sector was well organized this time, as were many communities. Much of this was because of good organization at the local level, and the timing of warnings and decisions that came well in advance. Unfortunately, the business and commercial sectors went their merry way. People still went to airports to catch their flights. The skyway was clogged, as were access points to many flooded intersections. The business and commercial sector needs to be more fully engaged in situations such as this. By keeping their own staff and customers out of harm’s way, and off the streets, they can make all the difference. Didn’t the expressway managers know that their exit points were flooded, and that commuters would only get stuck? Why didn’t they say so? Didn’t the airlines see that NAIA’s tarmac was dangerously flooded? Why didn’t they decide to send their passengers home? All these crucial components of a mega-city need to have contingency plans laid out, ahead of time, defining how to manage situations such as this. If a corporation values its customers and its staff, it should be ready to make responsible decisions at times such as this. All 12 million people who call Metro Manila home must learn from our flood-prone communities who have organized themselves and figured out how to bounce back from displacement. Everyone there is taught what to do, when to move, what to bring, where to go and what route to take. In a nutshell, this is something all of us have to know. Whether we work for government, or in the private sector, whether we live in a flood zone or a high rise, we are all in this together. There are many significant retro-fits that have to be put in place to transform Metro Manila into a livable city.